Those who like Algebra because they are good at arithmetic. 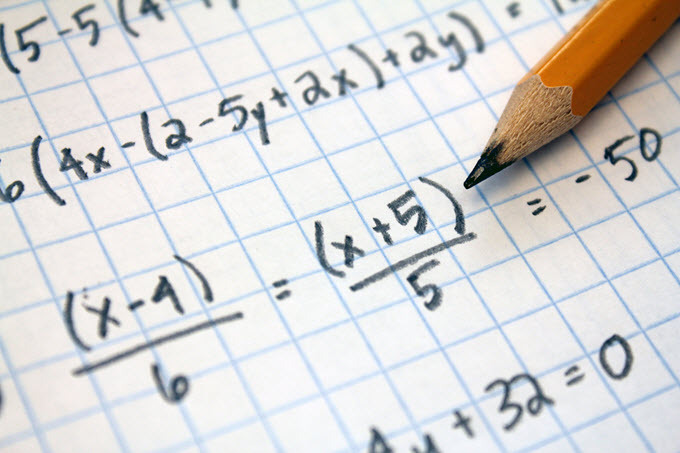 They are able to do many Algebra processes quickly and accurately but they do not know of or care for the explanations of “why” Algebra works. Get the answer, move on to the next problem. Those who like Algebra because they like the challenge. This is a rare breed: A driven, hard-working high schooler who insists on conquering that which is difficult. They’re rare, but they’re out there. Those who like Algebra because they catch a glimpse of why math exists: To quantify and understand the natural world. This is, unfortunately, the rarest of cases, but these are the students who are really able to connect the dots, not just in mathematics but across other subject areas. Students in this category are not necessarily those with the highest grades, but they typically absorb more learning than others. Now, regardless of a student’s like or dislike for math, most educators would agree that students ought to know how math applies to the world. After all, we’ve told kids for years that “one day, you’ll need to use this”, while in the back of our minds, we wonder how some of them actually will. Enter Science Fair projects. Science Fairs were developed to connect math and science and give students a chance to showcase theories or facts they discovered. Since “math is the language of science”, the two studies ought to be tied at the hip. Ideally, students form a hypothesis, carry out an experiment, and display findings on a neat, tri-fold display board. We’ve all seen enough chick hatcheries, colored celery sticks, and pin-pierced bugs to know what the typical science fair looks like. But is this really science? Because Science is the study of knowing, my argument is that if we are not including statistics in our science classes, we are not really “doing science”. I suggest that far too many teachers view Science as a body of knowledge to be memorized rather than a system of new discovery. A red flag is an overemphasis on memorizing what others have discovered to the exclusion of new findings and probability. It’s easier to make kids memorize, so this is the direction most teachers go. However, I’d suggest that this approach is what makes most kids dislike science. They aren’t given an appreciation for extending human understanding, and the massive amounts of information to memorize are overwhelming. They equate Science with long lectures, extreme note-taking, impossible exams, and a few contrived science labs. What’s there not to like….? From what I’ve seen, few science fair projects truly connect the natural world with math. In a few instances, there may be some charts, graphs, and numbers involved, but rarely do young people (or even teachers) know what to do with data once they collect it (if they gather it at all). To really “do” science, we rigorously control and account for variables and measure them with accuracy. We do this so that we can draw conclusions about the variables once we are done with the experiment. That’s basic science, right? Yet there is often an eery quiet in science classrooms once experiments are done and data is collected. What do we do with those numbers now? Here’s a rhetorical question: How do we know what we know? Think about it: How can we be confident that OTC medicines won’t kill us? How do we know that car tires won’t pop and send us careening off a cliff? How can we be so certain that girls will probably hit growth spurts sooner than most boys? The answer is simple yet frightening to some: Statistics. Medications, rubber, and growth spurts have been observed and measured so many times that we have statistical certainty that we have found a predictable trend. People probably won’t die from taking Tylenol. Tires probably won’t pop when they reach a few thousand rotations per minute. Girls will probably mature a little sooner than boys. We know these and other truths because people have observed, measured, and compared the variety in the data enough to say that there is a mathematical certainty these trends are not by chance. Hatching chicks is cute and all, but being able to say that there is a statistically significant difference in the size of newborn chicks when they hatch under a black light than when they hatch under a yellow light…now that’s powerful! Otherwise, you’re really just playing with chickens. Having visited several science fairs over the years, I came to the conclusion that middle and high school students needed more help in knowing what to do with data they collect. This led me to develop a little program called “Simple Stats for STEM”. I started by teaching some simple inferential stats in our summer STEM camps, in my math classes, and in our science classes on different occasions. I found that most students could grasp the concepts and were intrigued by finding the “p-value” in the experiments we set up. The students also seemed to appreciate the ability to draw conclusions based on mathematical probability, not just on a few observations. The ability to “know that we know” ignites curiosity, and in our case, several students took up the challenge and included inferential statistics in their annual science projects. I’ve coached students through Chi-Square, Ttests, Pearson correlations, and ANOVA’s. Don’t recognize those terms? Perhaps you’re not really “doing Science”! 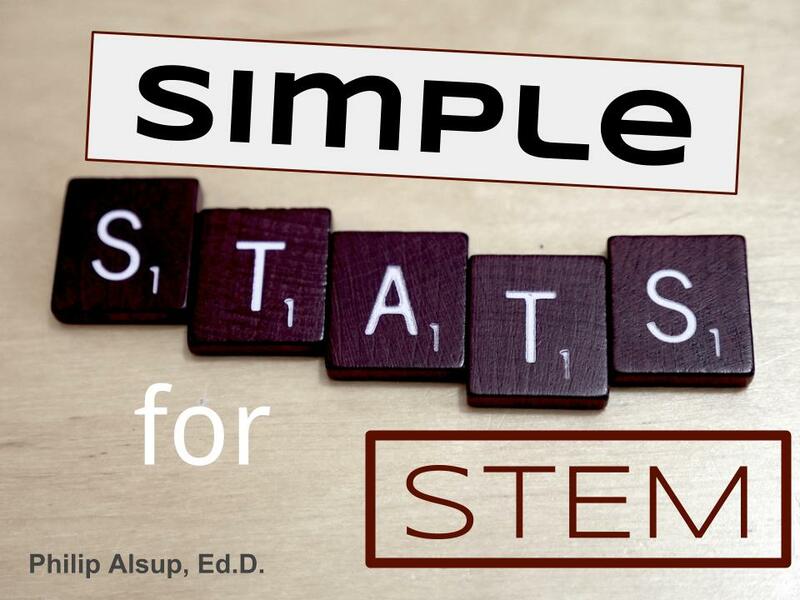 I put together a booklet that explains the theory behind Simple Stats for STEM and has several examples using basic statistical tests. I presented this program at the Michigan Association of Christian Schools teacher convention in October of 2015 and again at the Great Lakes Convention in October of 2016. At both presentations, teachers seemed to appreciate the material, and yet understandably, many also knew that teaching statistics to high school students would be an uphill climb. It certainly is, but if the goal is extending knowledge rather than just memorizing it, then the goal is well worth the struggle! So here’s the success story. In March this year, I attended the Michigan Association of Christian Schools Fine Arts Festival. This competition offers a wide array of fine arts opportunities: choirs, bands, speeches, individual recitals, art, and of course a Science Fair. The Science Fair was sharp: many good entries, attractive display boards, and several interesting experiments. As always, I looked around the displays and noted the varying levels of stats. Some had none while some had the typical graphs and tables normally included to impress the judges. I noticed a particular entry on the theme of DNA and amino acids, and this one seemed to be a cut above the rest. In particular, the project was tackling a unique topic and had the potential for a lot of data to be collected–two key elements for good science. This project actually ended up winning first place in the science fair that day. I was approached later that afternoon by the student’s teacher, and she asked if I would be willing to work with the student to “make sense of all the stats”. By winning the state science fair, this student was now eligible to enter the national science fair with the American Association of Christian Schools the next month. Over the next few weeks, the student and I worked together to refine her data and develop a plan to incorporate inferential statistics. The experiment asked whether manipulating certain amino acids in the DNA strand would have an effect on the likelihood of a cystic fibrosis diagnosis. The student had located a medical research website that allowed the user to manipulate certain amino acids and receive an outcome value that indicated the probability of a cystic fibrosis diagnosis. These outcomes became the data for the statistical analysis. The project then had the potential to answer the question of whether certain amino acids had a greater effect on cystic fibrosis than others. Because amino acids are scientifically grouped into families, the student selected three families of amino acids for comparison. This set up perfectly for an Analysis of Variance which is able compare the variety in the data of multiple groups. The ANOVA basically answers the question of whether the means of the groups are different enough to be considered non-coincidental. In other words, the ANOVA helps reveal if the independent variable (in this case different amino acids) was responsible for a difference between groups. The student and I communicated in person, by email, and through a Google Doc as I guided her through the process of running the statistics and then interpreting the findings. In the end, we found a statistically significant difference between the groups of amino acids, showing that a change to a certain family of amino acids was more likely to cause cystic fibrosis than the others. But that’s not the best part. 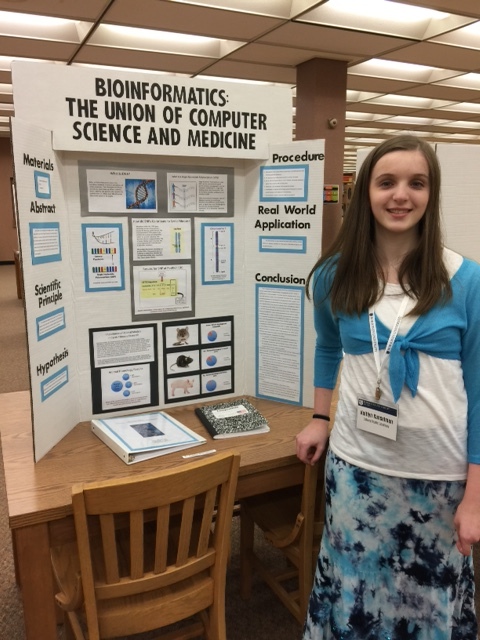 The student entered the national science fair at the American Association of Christian Schools and won first place! She had done some incredible work and I was proud to help her put the icing on the cake. Seeing her create her own space in science was certainly satisfying to watch. When kids figure out how to extend knowledge rather than just memorize it, we empower them to be life-long learners. What better outcome could we ask for in STEM Education? A copy of the student’s science paper and statistics write-up can be found right here: STEM Paper. For further ideas on getting your students more involved in science through the use of statistics, check out my Simple Stats for STEM page.